Meet Iron Man on Festival Day! 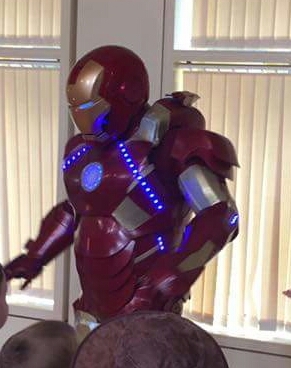 A very special guest will be joining us on Festival Day – Iron Man! Come and say hello from 3-6pm! Thank you Cambridge Party Heroes. 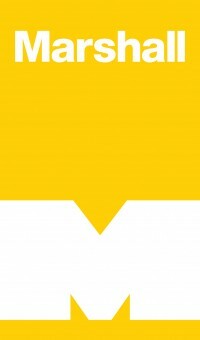 Thank you to our new sponsor UTC Cambridge! UTC (University Technical College) is an academy for 14-19 year olds offering GCSE, A Level and BTEC courses. They are based on Robinson Way. For more information call 01223 724304 for a prospectus or attend the open day on Wednesday 5th October, 5pm-7pm. 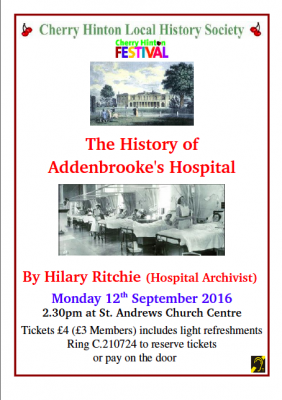 In 2016 it will be 250 years since Addenbrooke’s Hospital opened its doors on Trumpington Street thanks to Dr John Addenbrooke who left £4,500 in his legacy ‘to hire and fit up, purchase or erect a small, physical hospital in the town of Cambridge for poor people.’ Originally housing just 20 beds, today’s hospital has over 1,000, an income of £719m and over 8,000 staff. Find out more with this fascinating talk on Sept 12th.